Sounds like at least it was a solid read. I've seen it on a few other blogs and have to admit to being interested. It was. I enjoyed it. 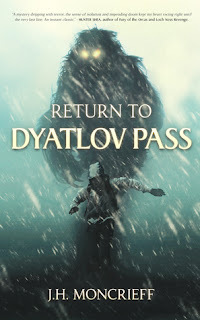 I would love to read more yeti stuff, and I had no idea this was based on a real event. I may have to get this now, or at least take a closer look- I'm intrigued! I need to do more research into the true details. Generally the word 'yeti' means I'm all over it!